The Wells Fargo Foundation today announced a $500,000 grant to a broad-based coalition tasked with attracting clean energy investments that will stimulate the local workforce, combat air quality issues, and beautify the Northeast Valley neighborhoods of Sun Valley and Pacoima. 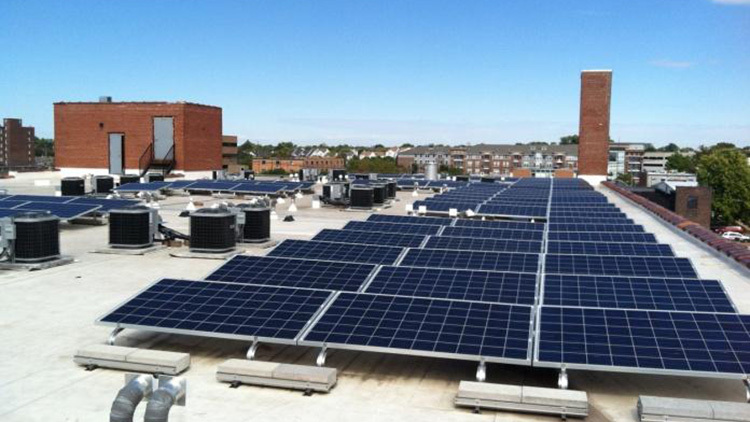 The grant will support the group’s bold goals of creating 150 new local jobs and generating at least $5 million in new private investment through the installation of five megawatts of rooftop solar. In addition to rooftop solar, the grant will expand the amount of open public space available to residents of the Northeast Valley. Grant recipients include the Los Angeles Business Council Institute (LABCi) as the team lead, Pacoima Beautiful, GRID Alternatives, The Trust for Public Land, and Los Angeles Conservation Corps. Sun Valley and Pacoima have higher unemployment rates and lower than average incomes than the City of Los Angeles. Negative health outcomes from pollution exposure, such as acute respiratory and circulatory illness, are exacerbated in the Northeast Valley, with the area scoring in the bottom 25 percent of clean air in the state, and a childhood asthma prevalence 20 percent higher than the state average. Los Angeles currently has the most installed solar power of any city, fueled by successful solar programs driving private sector investment, such as the Feed-in Tariff (FiT). 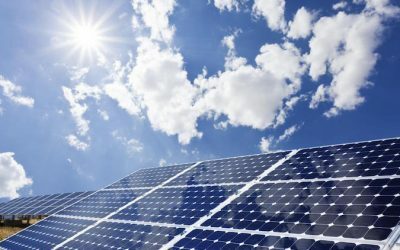 The FiT program allows businesses and property owners to sell energy gathered from rooftop solar installations directly to Los Angeles Department of Water and Power. The program allows building owners to earn credit for energy produced, while driving investment, increasing property values, and creating strong career opportunities. 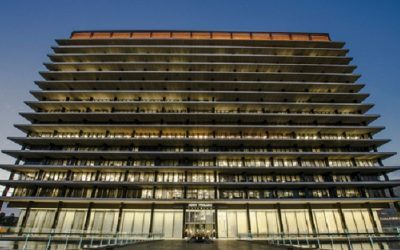 The FiT is now the largest urban rooftop solar program in the United States employing local labor. 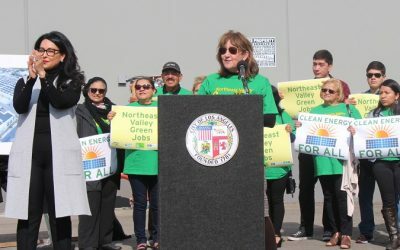 The LABC aims to replicate the success of the Los Angeles rooftop solar energy program in the Northeast Valley to help attract new investments. Wells Fargo’s $500,000 grant is indicative of the bank’s larger commitment to invest in projects that accelerate a transition to a “greener” economy. More information about Wells Fargo’s environmental grant programs can be found on its website. The LABC Institute is a forward-thinking research and education organization dedicated to strengthening the sustainable economy of California. Founded in 2010, the Institute provides a bridge between the business, government, environmental, labor and nonprofit communities of Southern California to develop policies and programs that promote investment, jobs and business development. The Institute is the research and education arm of the Los Angeles Business Council, one of the most respected business advocacy organizations in the region. Founded in 1936, the LABC is known as an innovator and catalyst for policy development on a wide range of issues, including education, housing, green building, energy efficiency, transportation and solar development. For more information, please visit www.labcinstitute.org. To learn more, visit our Renewable Energy page.